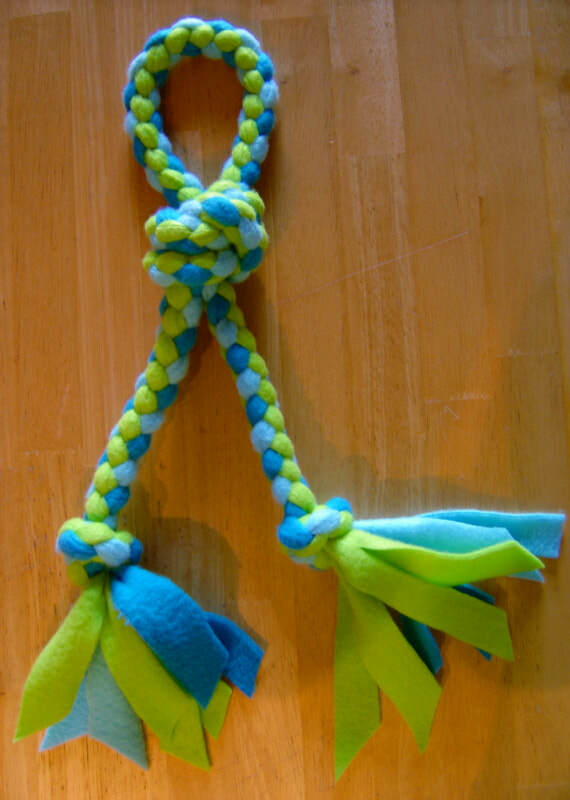 These tug toys are named after my dog Rosco and are great for any type of play and work well as a reward since the shorter lengths can easily fit in your pocket. 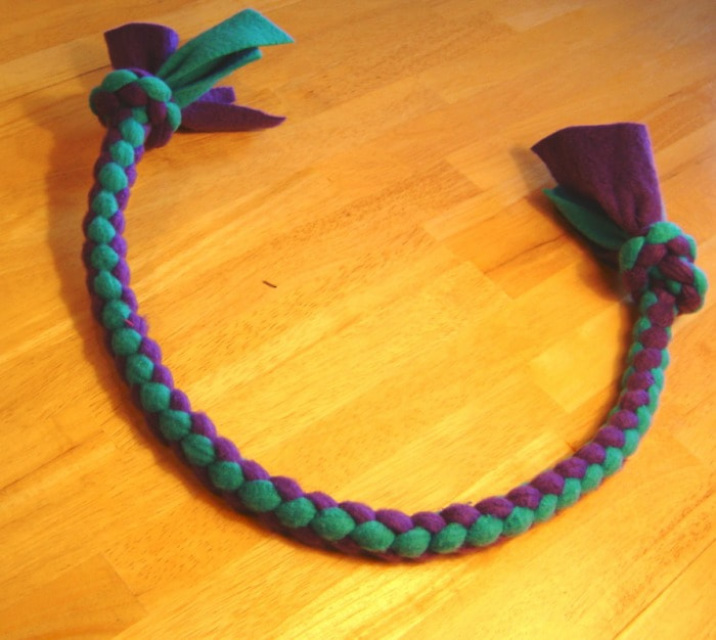 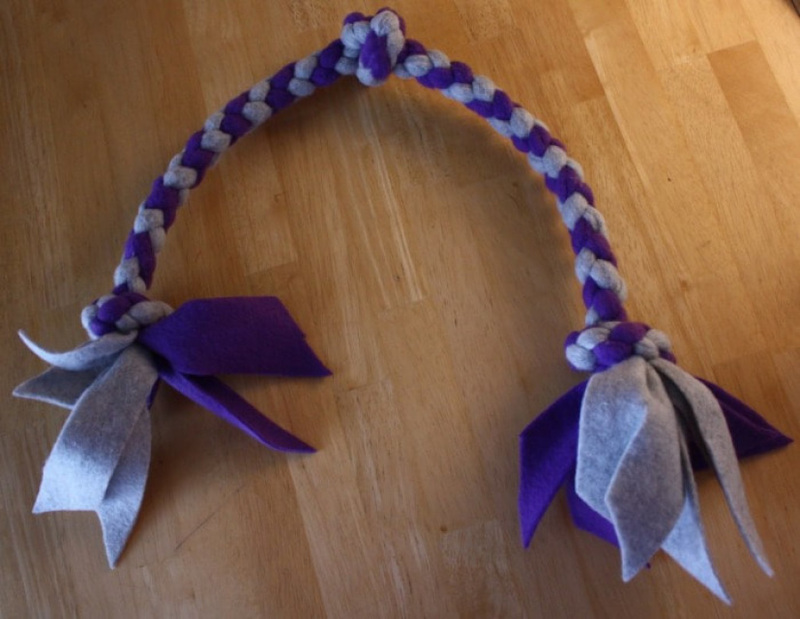 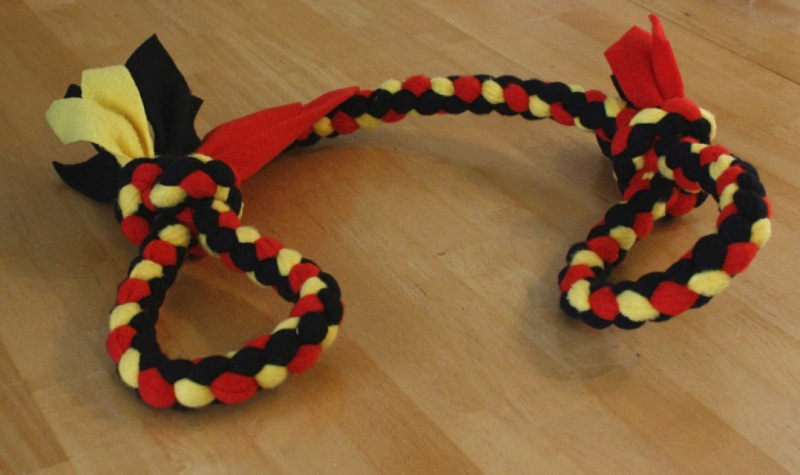 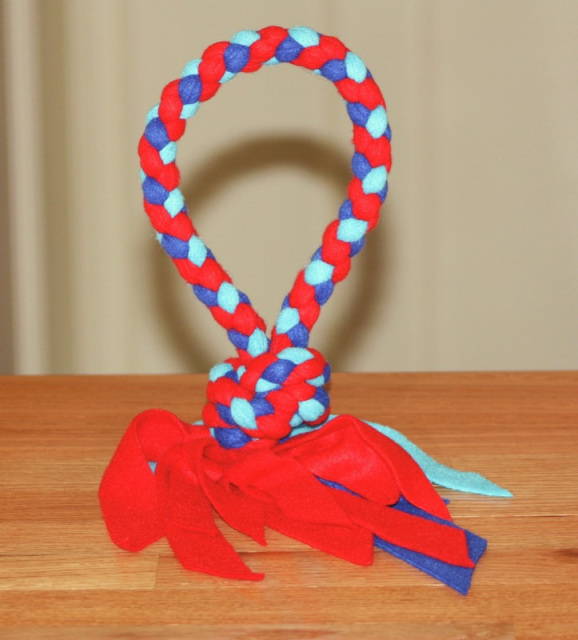 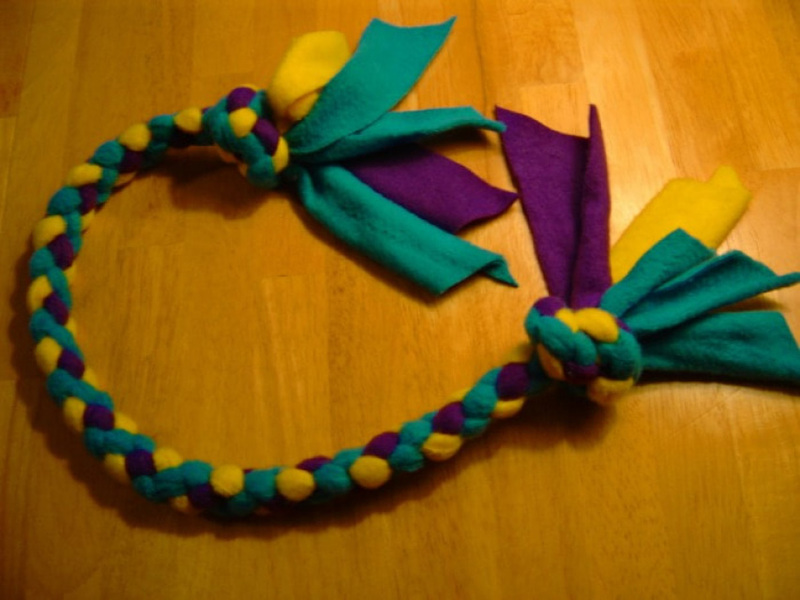 They are made with fleece and braided using four strands which creates a round braid. 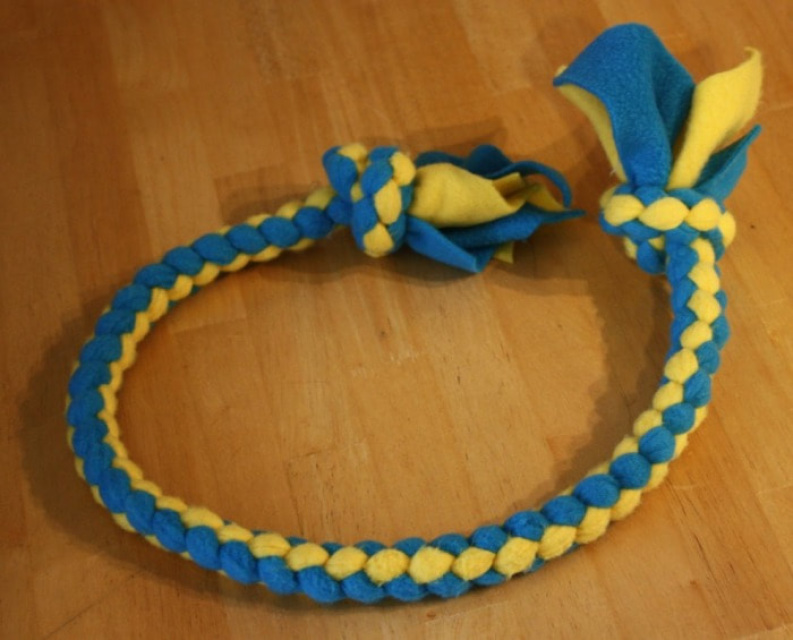 They are braided extremely tight for endless tugging pleasure, soft on your dogs mouth and your hands. 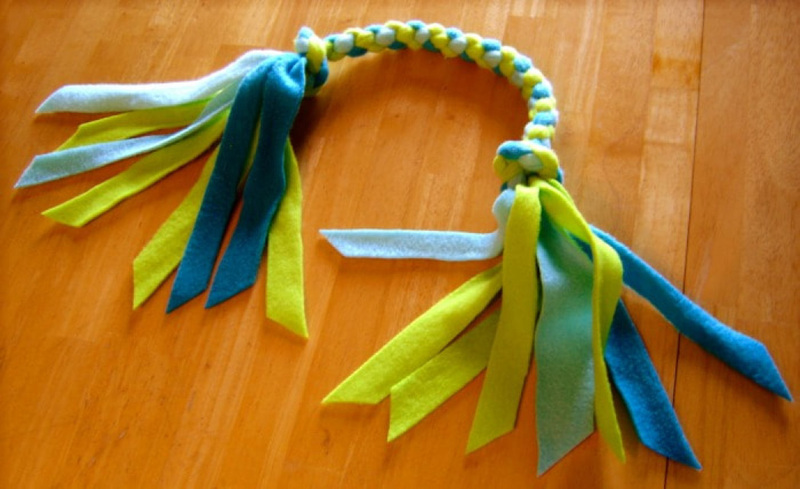 Most dogs love these toys because of the soft feel on their mouth and flashy fringe which generally induces chase drive. 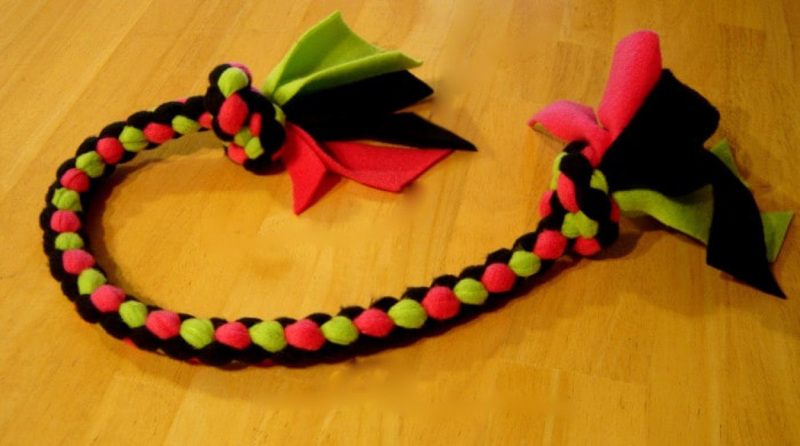 These toys are designed for you and your dog to play with together, not to be used as a chew toy and left alone with the dog. 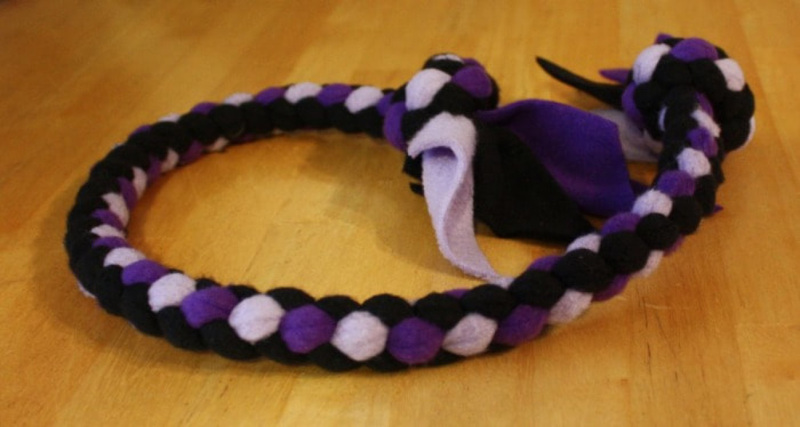 They will last much longer when used as designed.